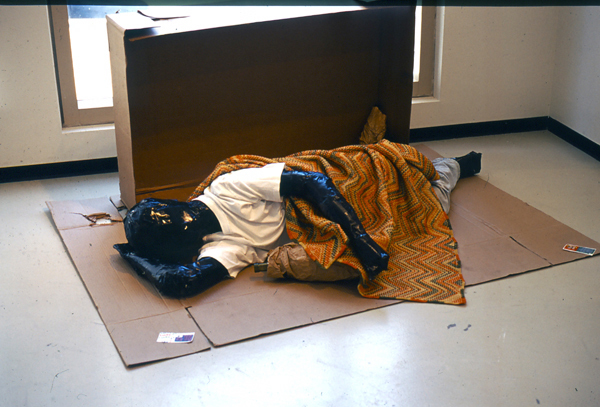 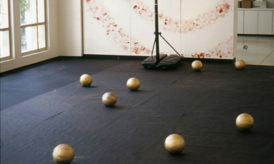 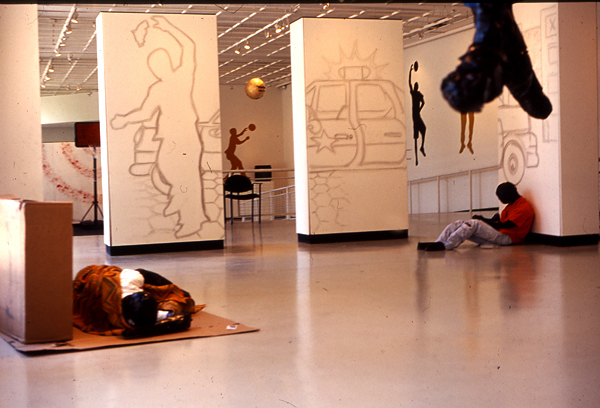 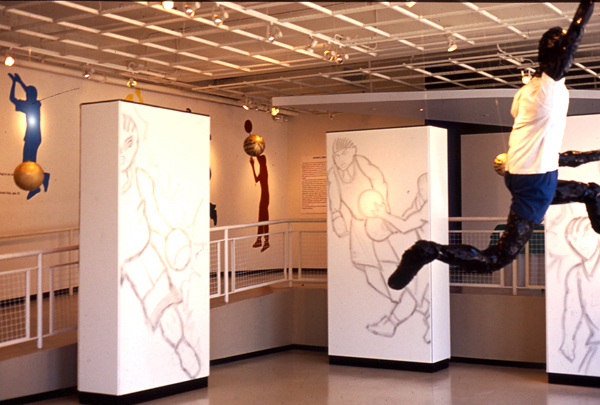 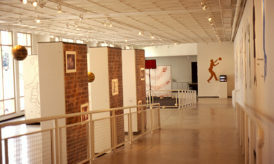 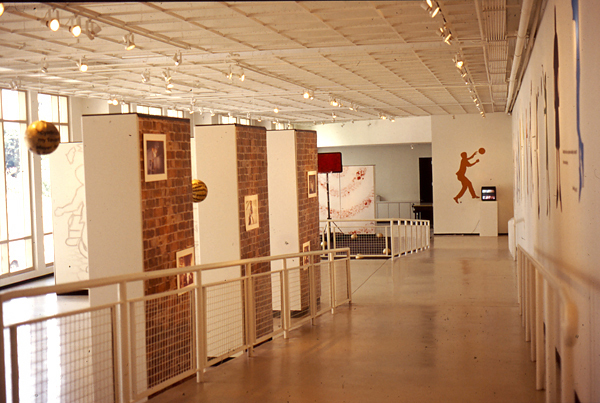 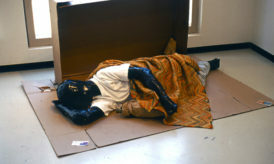 On the Line, 2000, Multimedia installation which includes video, photography, painted silhouettes, gold basketballs, hoops, tar paper, sand, newspaper sculptures, and vinyl lettering. 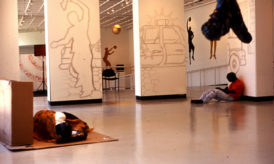 Done in collaboration with 15 adolescents at the Youth Art Connection, Atlanta, GA. 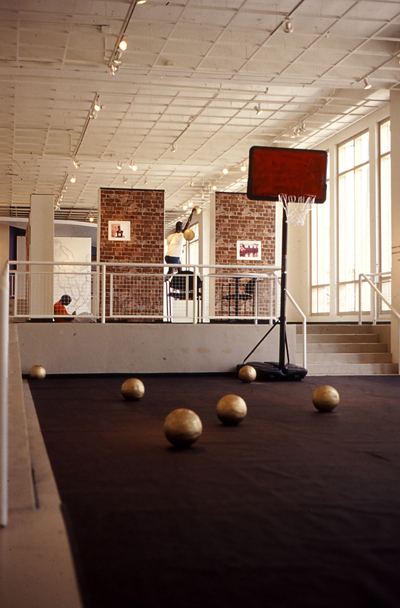 This interactive installation is about basketball – how it is celebrated and stereotyped within American society. 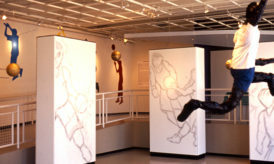 The upper level component features a graphite illustration and three large scale human newspaper sculptures acting out different potential futures for a young athlete. 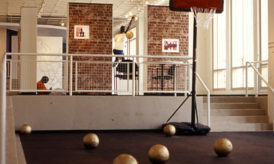 The lower level features a mock basketball court filled with “golden basketballs”. 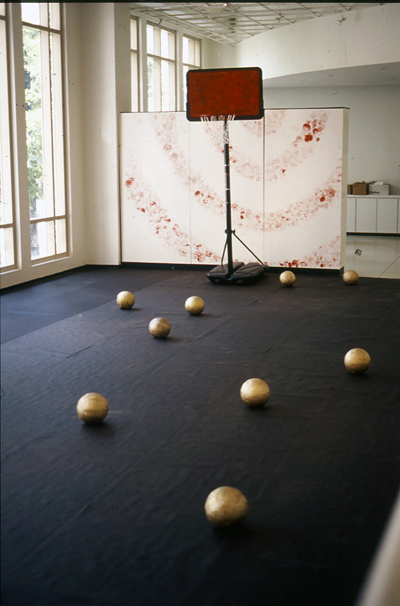 All of the balls (except one) are filled with sand, making the game difficult to play.